How to easily boost your productivity as an Android developer. Just a bunch of handy string helpers for text manipulation. Simply press Alt-M and save some precious time. This one adds lovely rainbow colors for the round, square and squiggly brackets. Helpful if you need to simplify a complex code (image below doesn't present a complex code, it's just an useless example) . Real life saver if you have 40 jsons to add as Kotlin data classes to your project. Like, today. Before lunch. Forget about naming colors like ‘red1’, ‘red4’, ‘red_or_pink’. This little gem will propose a closest matching color name or generate one if you're really creative with Hex/RGB values. 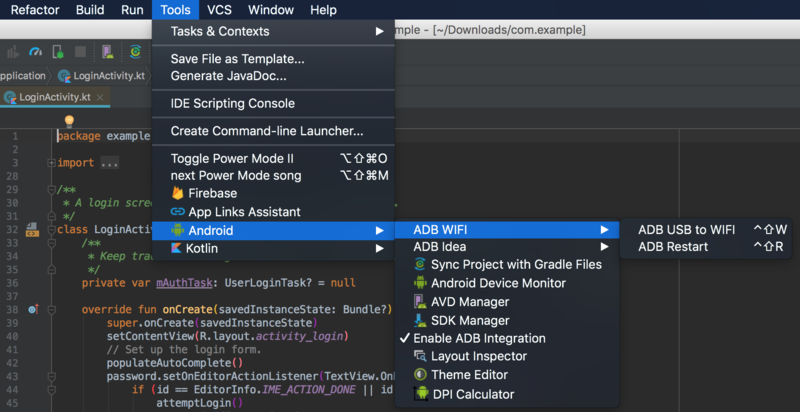 It’s a plugin that speeds up your day to day Android development by providing shortcuts to various ADB tool commands. 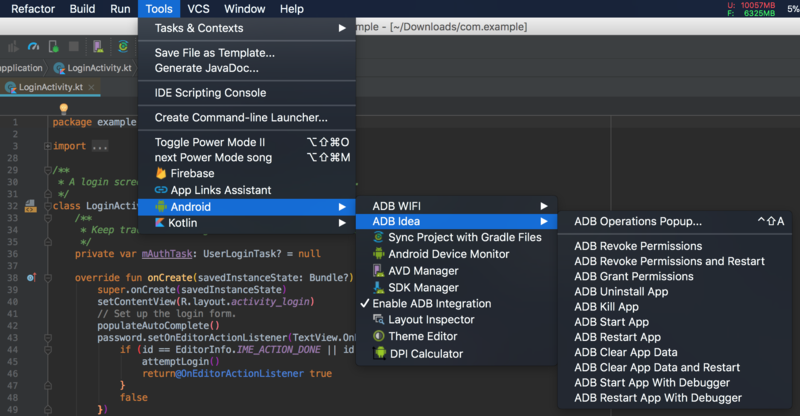 This plugin simplifies connecting the device to the ADB through WiFi. Sure, you could do this from the command line, but this way it’s faster. There’s a theory that even the fastest CPU can be temporarily smashed by a Gradle build. This little add-on proves this, right there in the bottom right corner. Need to use one of the Material Icons in your Android app? With this plugin you can do it in an easy and convenient way. Another powerhouse for adding images to your project. 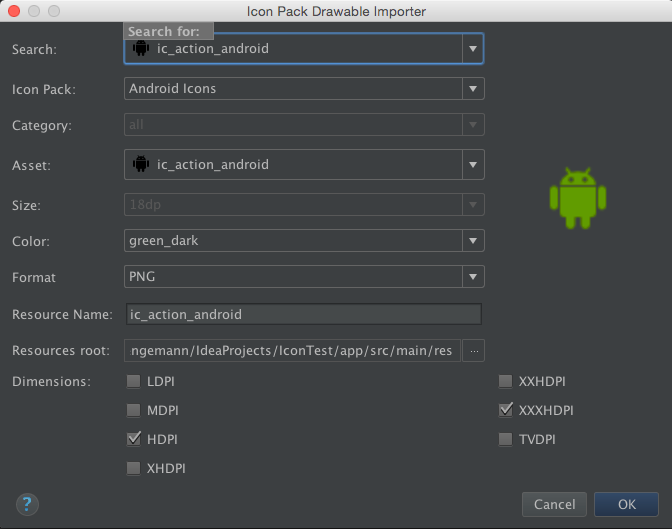 You can easily import an icon from Material Icons or Android Icons, set a format, size, color and multiple dimensions. You can also import a regular image and automatically resize it for target densities. As an Android dev sometimes you just have to calculate some sizes for different densities. I know, it’s crazy but this is just part of the job. This plugin is bananas if you want to have an epic pair programming session. 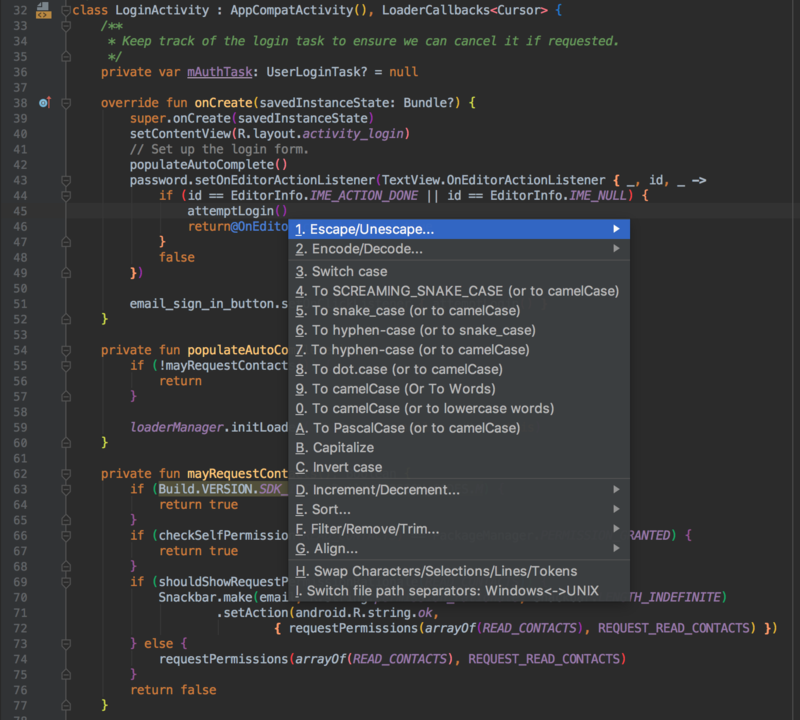 Simply, your code is on fire! Hint: disable the shake effect, it's just too much. Use the 'installed.txt' file with all the plugin names (one per each line) included. Just copy the file into the 'config' location. 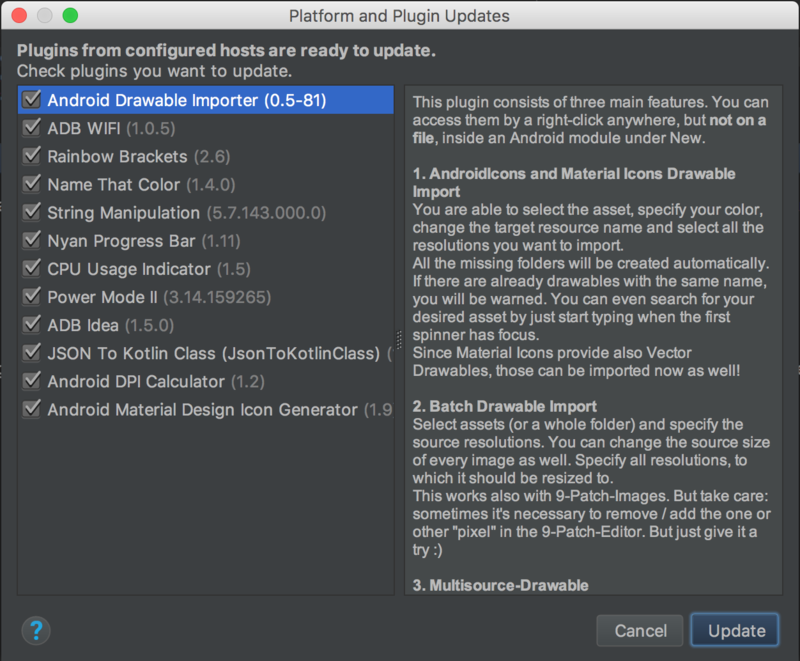 Install the plugins, restart Android Studio and enjoy!